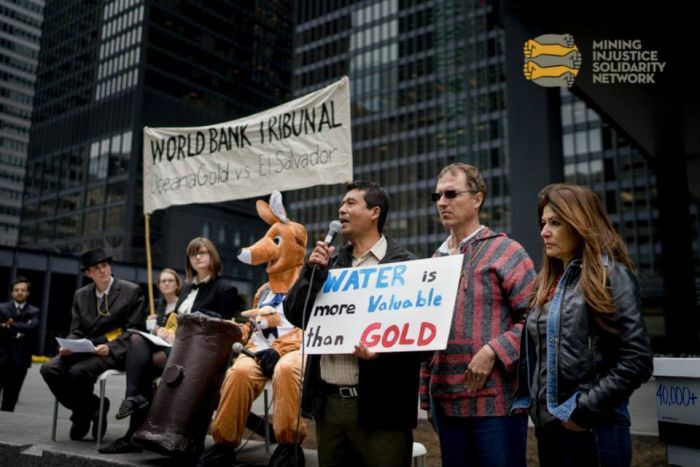 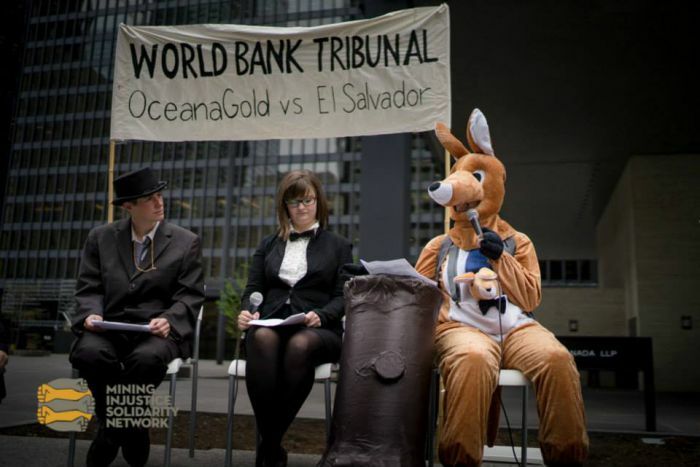 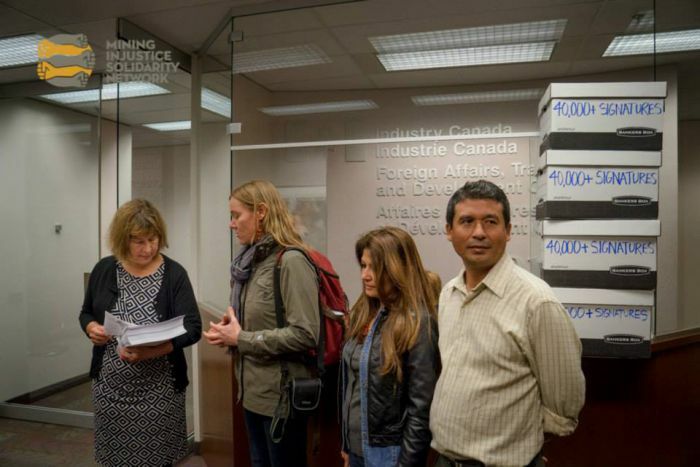 Huron-Wendat, Anishinaabe, Haudenosaunee territory (Toronto, Canada) May 15, 2015 - The Mining Injustice Solidarity Network and allies convened a "kangaroo court", mimicking a little-known World Bank arbitration tribunal whose imminent ruling could force El Salvador to pay Canadian-Australian mining firm OceanaGold US$301 million for denying a gold mining permit. 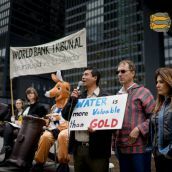 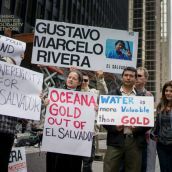 Protestors were present at the mock tribunal to denounce OceanaGold's lawsuit for attempting to rob El Salvador and punish an entire country for trying to protect its water. 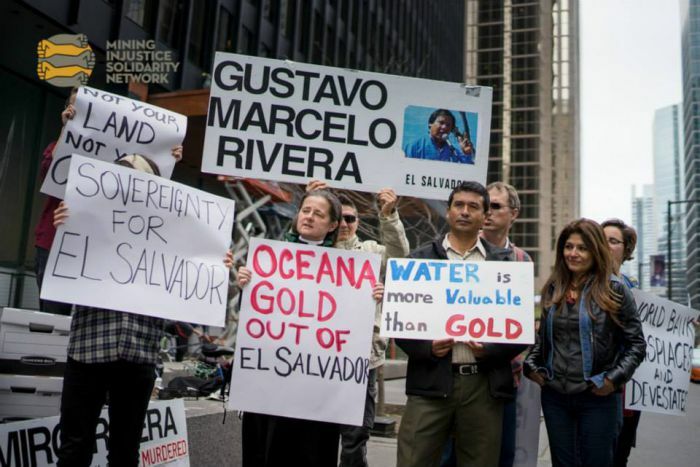 The protestors were joined by two guests from El Salvador who addressed the tribunal - Yanira Cortez, the Deputy Attorney for the Environment for El Salvador's Human Rights Prosecutor's Office, and Marcos Galvez, President of the Association for the Development of El Salvador. 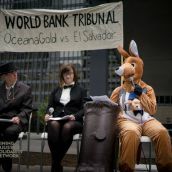 The speakers highlighted how investor-state arbitration threatens democratic decision-making, public health, and the environment both here in Canada and beyond our borders. 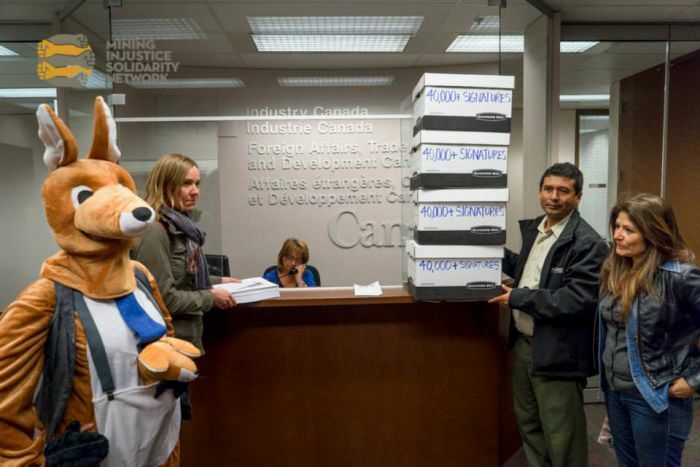 The protestors then delivered a petition condemning OceanaGold's lawsuit to the Canadian Trade Commissioner's Office, signed by nearly 175,000 people.